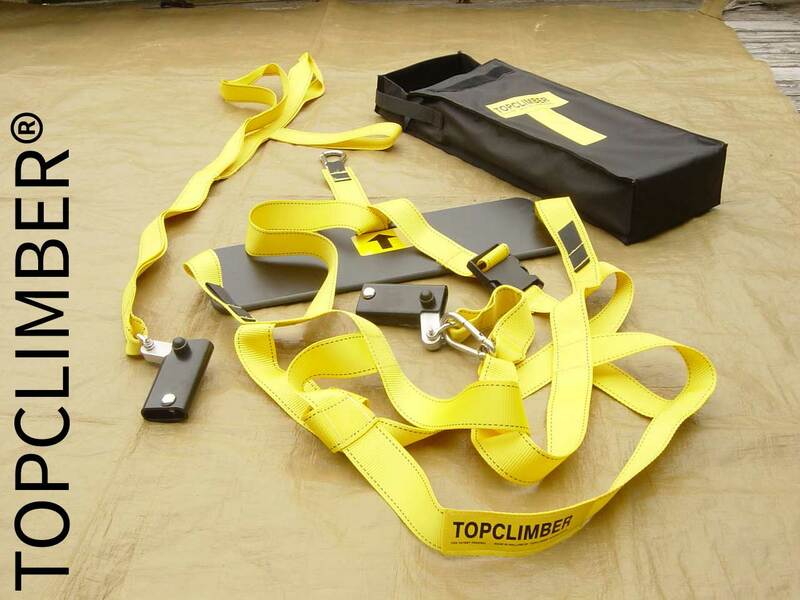 The TOPCLIMBER® self-hoist mast climber consists of 2 parts, a bosun’s chair with back rest and one-way jammer, and leg straps with two loops for the feet and one-way jammer. 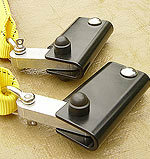 NOTE: additionally you will need a 7/16’’ to ½ ‘’ low stretch line. 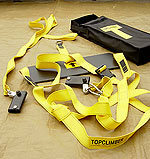 TOPCLIMBER® self-hoist mast climber: WHAT’S INCLUDED? 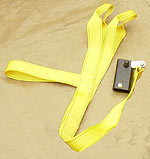 A bosun’s chair with back rest and a one-way jammer. 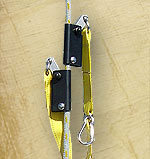 Leg straps, with two loops for the feet and a one-way jammer. 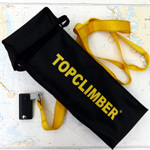 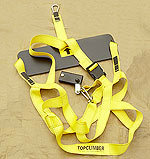 The TOPCLIMBER® rides a 7/16’’ to ½ ‘’ low stretch line.